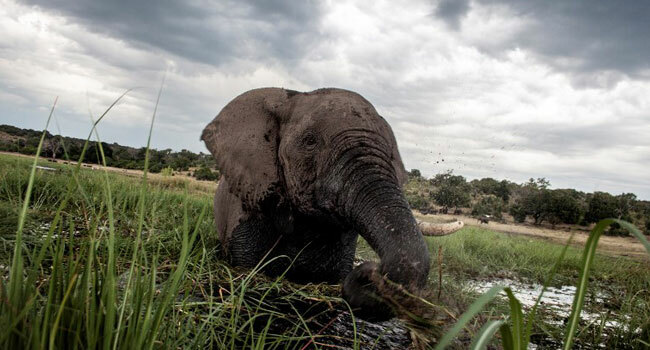 Elephants Without Borders said the grim discovery of scores of elephant carcasses, made over several weeks during an aerial survey, is believed to be one of Africa’s worst mass poaching sprees. “These statistics are false and misleading,” said a statement on the official government Twitter account, which added that “at no point in the last months or recently were 87 or 90 elephants killed in one incident in any place in Botswana”. It said the EWB had counted 53 carcasses during the survey, adding that it had verified that most of these animals had died of “natural causes”. The statement confirmed that authorities had withdrawn weapons from rangers, but denied the move had “created any vacuum in anti-poaching operations”. “Government wishes to reiterate the fact that wildlife remains a national heritage and our citizens will protect it at all costs,” it said. Botswana had previously had a zero-tolerance approach to poaching, with a “shoot-to-kill” policy against poachers. “I am very concerned, it’s a huge worry,” he said. “I’m aware that the numbers are in double digits, and for Botswana they are high.